Volkswagen e-Golf Interior, Sat Nav, Dashboard | What Car? 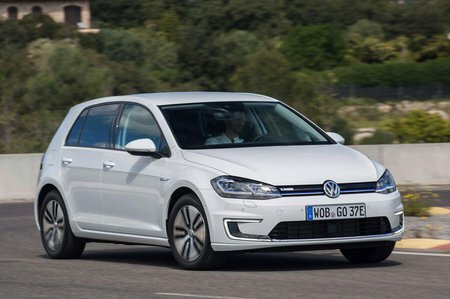 Aside from some extra graphics, indicating the state of charge and battery range, and some blue detailing on the gearlever and door cards, this is a standard Golf. That means you get all the usual benefits of a high-quality interior and a user-friendly layout. You should be able to find a comfortable driving position too, because there’s a huge range of seat and steering wheel adjustment. The fact that the pedals are in line with the steering wheel also helps, plus the driver’s seat is firm yet supportive. The seat controls are precise and easy to reach, too. 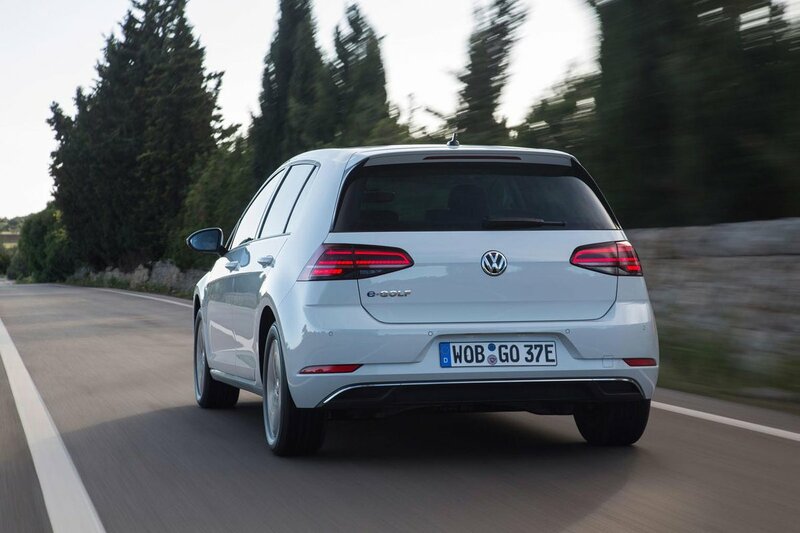 The e-Golf even gets adjustable lumbar support as standard, along with other niceties including ambient lighting and attractive metal effect trim inserts. Once you’ve got comfortable you’ll notice that all of the switchgear on the dashboard is well placed, including the simple rotary air-con control dials that make it easy to tweak the temperature on the move.